More than $50 million worth of gold bars, coins and dust that’s been described as the greatest lost treasure in US history is about to make its public debut in California after sitting at the bottom of the ocean for more than 150 years. 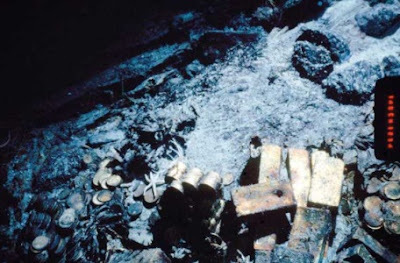 The 3,100 gold coins, 45 gold bars and more than 36 kilograms of gold dust recovered from the wreckage of the S.S. Central America steamship are now sitting in a makeshift laboratory just south of Los Angeles. Bob Evans, the chief scientist on the original voyage that discovered the shipwreck and its treasure in 1988, is now painstakingly cleaning each piece of gold by hand, soaking it in a solution and brushing off rust and grime that accumulated as the treasure sat 2,134 meters below sea level.